During my time offline I was also able to listen to lots Of great music including Led zeppelin , speaking of which one of the most influential and important guitarists record producers and song writers in rock and roll history, Jmmy Page OBE was born 9 January 1944. Also known as “the pontiff of power riffing, Page First played the guitar at the age of twelve. Among his early influences were rockabilly guitarists Scotty Moore and James Burton, who both played on recordings made by Elvis Presley Page’s musical tastes included skiffle and acoustic folk playing, particularly that of Bert Jansch and John Renbourn, and the blues sounds of Elmore James, B.B. King, Willie Dixon, Otis Rush, Buddy Guy, Freddie King and Hubert Sumlin. At the age of 13, Page appeared on All Your Own talent quest programme in a skiffle quartet, played “Mama Don’t Want To Skiffle Anymore” and In Them Ol’ Cottonfields Back Home”. When asked by Wheldon what he wanted to do after schooling, Page said, “I want to do biological research” to find a cure for “cancer, if it isn’t discovered by then”. After the departure of Keith Relf and Jim McCarty from the Yardbirds in 1968, Page reconfigured the group with a new line-up to fulfil unfinished tour dates in Scandinavia, and recruited vocalist Robert Plant and drummer John Bonham, and was also contacted by John Paul Jones who asked to join. During the Scandinavian tour the new group appeared as “The New Yardbirds”, but soon recalled the old joke by Keith Moon and John Entwistle. Page stuck with that name to use for his new band. Peter Grant changed it to “Led Zeppelin”, to avoid a mispronunciation of “Leed Zeppelin.” the band consisted of guitarist Jimmy Page, singer Robert Plant, bassist/keyboardist John Paul Jones, and drummer John Bonham. Page had a very specific idea about the sound and wanted Led Zeppelin to be a marriage of blues, hard rock and acoustic music topped with heavy choruses – a combination that had never been done before. 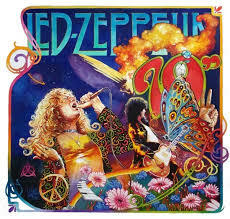 Instead of releasing their songs as singles; they viewed their albums as indivisible and complete listening experiences and due to the heavy, guitar-driven blues rock sound of their first two albums, Led Zeppelin are frequently recognised as the progenitors of heavy metal and hard rock. However, the band’s individualistic style drew from a wide variety of influences, including folk music, which they incorporated into their next two albums. Their untitled fourth album, which features the track “Stairway to Heaven”, is among the most popular and influential works in rock music, and it cemented the status of the group as “superstars.” Subsequent albums saw greater experimentation and were accompanied by record-breaking tours, which earned them a reputation for excess. Although they remained commercially and critically successful, in the later 1970s, the band’s output and touring schedule were limited by the personal difficulties and circumstances of the members. 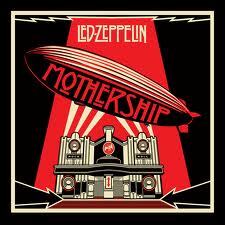 Led Zeppelin disbanded following Bonham’s unexpected death in 1980. But they became a prototype for countless future rock bands, and was one of the major driving forces behind the rock sound of that era. Led Zeppelin broke up in 1980 following the death of drummer John Bonham, Since then, the surviving members have pursued solo careers and have also been involved in a series of collaborations and sporadic one-off reunions. Including forming a supergroup called XYZ (for ex-Yes-Zeppelin)with Yes bassist Chris Squire and drummer Alan White in 1981. Page also played on Roy Harper’s 1984 album “Whatever Happened to Jugula?”. He has also reunited with former members of Led Zeppelin to perform live on a few occasions, most notably in 1985 for the Live Aid concert. Page has also recorded with former Led Zeppelin vocalist Robert Plant as The Honeydrippers on the album The Honeydrippers: Volume 1, and with John Paul Jones on the film soundtrack Scream for Help. He has also collaborated with Paul Rodgers to record two albums under the name The Firm. He has also released a solo album entitled Outrider in 1988 featuring contributions from Robert Plant & contributed in turn to Plant’s solo album Now and Zen, which was released the same year. He also embarked on a collaboration with David Coverdale in 1993 entitled Coverdale Page. In 1988 Page, Plant, Jones, and John Bonham’s son Jason, also performed at the Atlantic Records 40th Anniversary show. In 1990, he played at Knebworth to aid the Nordoff-Robbins Music Therapy Centre and the British School for Performing Arts and Technology saw Plant unexpectedly joined by Page to perform “Misty Mountain Hop”. In 1994, he reunited with Plant for the penultimate performance in MTV’s “Unplugged” series. He has also collaborated on various film Soundtracks and has played many times at the A.R.M.S. (Action Research for Multiple Sclerosis) charity series of concerts which honoured Small Faces bass player Ronnie Lane, who suffered from the disease.age is currently participating in various charity concerts and charity work, particularly the Action for Brazil’s Children Trust (ABC Trust), In October 1999, Page teamed up with The Black Crowes for a two-night performance of material from the Led Zeppelin catalogue and old blues and rock standards. The concert was recorded and released as a double live album, Live at the Greek in 2000. In 2005, Page was appointed Officer of the Order of the British Empire (OBE) in recognition of his Brazilian charity work for Task Brazil and Action For Brazil’s Children’s Trust, and was made an honorary citizen of Rio de Janeiro later that year, he was also awarded a Grammy award and In November 2006, Led Zeppelin were inducted into the UK Music Hall of Fame. In 2007, 27 years after the group disbanded, the surviving members of Led Zeppelin reunited (along with John Bonham’s son, Jason) for the Ahmet Ertegun Tribute Concert at The O2 Arena in London (Which is featured on the CD/DVD “Celebration Day” and were honoured with the “Best Live Act” prize at the 2008 MOJO awards. In 2010 Jimmy Page was ranked No.2 in Gibson’s list of “Top 50 Guitarists of All Time” and No.4 on Classic Rock Magazine’s “100 Wildest Guitar Heroes”. He is also ranked third in Rolling Stone magazine’s list of the “100 Greatest Guitarists of All Time” & has been inducted into the Rock and Roll Hall of Fame twice; once as a member of The Yardbirds and once as a member of Led Zeppelin. Page has also been honoured with a first-ever Global Peace Award by the United Nations’ Pathways to Peace organisation. In 1996 Mojo Magazine ranked him number 7 on their list of “100 Greatest Guitarists Of All Time”. In 2002 he was voted the second greatest guitarist of all time in a Total Guitar magazine reader poll. In 2007, Classic Rock Magazine ranked him No. 4 on their list of the “100 Wildest Guitar Heroes”. He was also ranked Page No. 2 in a list of the “50 greatest guitarists ever” in 2008. In August 2009, Time Magazine ranked him the 6th greatest electric-guitar player of all time. 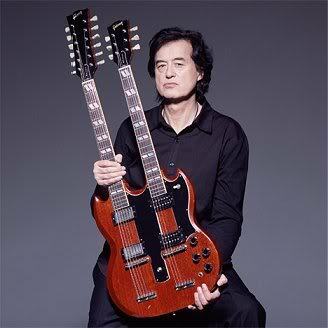 In 2010, Jimmy Page was ranked No. 2 on Gibson’s “Top 50 Guitarists of All Time and In 2011, Rolling Stone magazine named him number three on their list of the “100 greatest guitarists of all time”. Led Zeppelin are one of the best-selling music artists in history and have been described as the “greatest rock and roll band of all time. I was seeing how long I could do without internet access – 48 Hours “rolls eyes” still the break did me good and I watched Pacific Rim and Jack the Giant Slayer and read the Ian Rankin novel Beggars banquet, I am going to have another go, I can feel myself getting annoyed and stressed out as Itype this message so that’s a good excuse to switch the computer off Again. 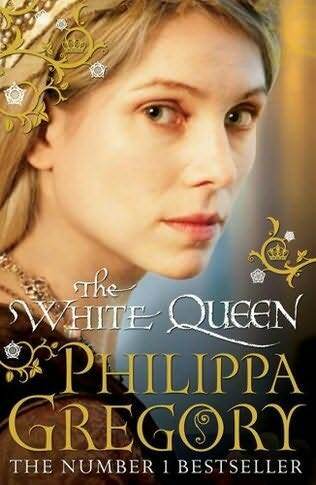 In the meantime as I enjoy reading Historical Fiction I thought I would write about British writer Philippa Gregory, who was born 9 January 1954 in Nairobi, Kenya. She has been writing historical novels since 1987, the best known of which is The Other Boleyn Girl which won the Romantic Novelists’ Association.Romantic Novel of the Year Award in 2002. Among her other novels are The Queen’s Fool,The Virgin’s Lover, The Constant Princess, The Boleyn Inheritance, The Other Queen, The Constant Princess, The Wise Woman, The White Queen, The Red Queen and the The Kingmaker’s Daughter.